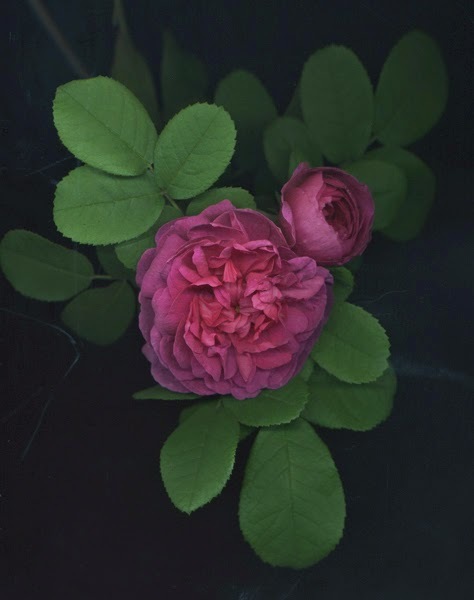 In the beginning of this century I came up with the idea of scanning plants (mostly roses) from my garden. Originally my intention was to accurately record what my plants looked like (at 100% magnification) on the précised hour and day of the year. It didn’t take long before I realized that my accurate representations of my roses had as pleasant baggage, beauty. is unique in that the hard to grow (in our Vancouver weather) rose has long died and it would be impossible to replace it as most rose nurseries that might have carried the rose are long gone. I stopped using CDs and started storing my plant scans on a mirror Raid hard drive. It is a mirror hard drive in that what is store into its 500 gig drive is simultaneously stored into one next to it. Since Christmas Eve I have had terrible computer problems. My friend Paul Leisz has advised me to purchase a one terabyte solid state drive and to transfer all the plant scans (and lots of other important stuff) into it. Leisz spoke much too soon and my friend Benson at Powersonic (in Richmond) is currently retrieving the stuff from one of those Raid hard drives (the other one is “in error”). He will then save it into another 1 terabyte external hard drive. In my until recent profession as a photographer I never accepted the terms “It should…”or “It will automatically …” I always went to assignments with two or three of everything. In my basement I have 14, four drawer metal filing cabinets full of negatives, slides and photographs. Those files represent my output since I was in my late teens until just a few days ago when I shot film. All that I have done with my Fuji X-E1 digital camera since August 2013 can be found in a 1 terabyte external hard drive and shortly will be in another and with all the plant scans from those CDs that I am planning in saving. I wonder and I throw this to anybody reading this what will happen in future years to all those digital images being taken today? 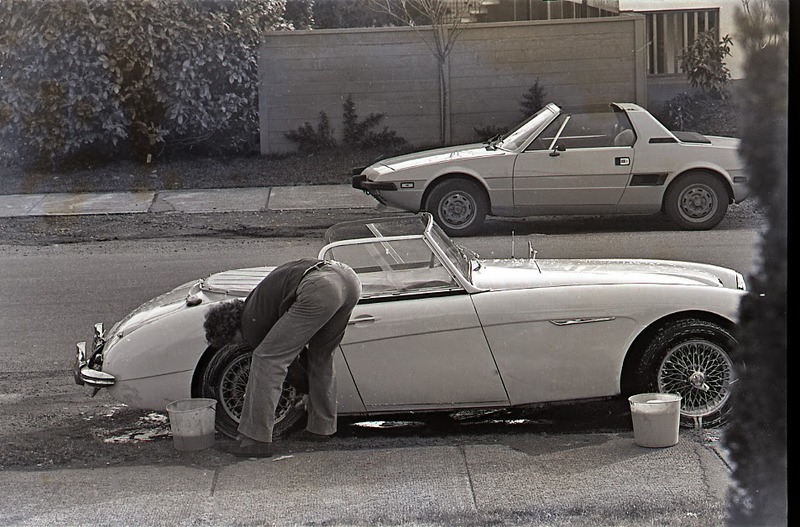 Sometime in the late 70s I photographed Sean Rossiter washing his Austin Healey. I processed the film and put it in a file (a drawer called authors). I found that negative just a couple of days ago. What is important is that because it was in the file called Sean Rossiter anybody looking into that file would have suspected that the man doing the washing was and is Sean Rossiter. Had it been a digital file what would anybody have known?